we must give them names. 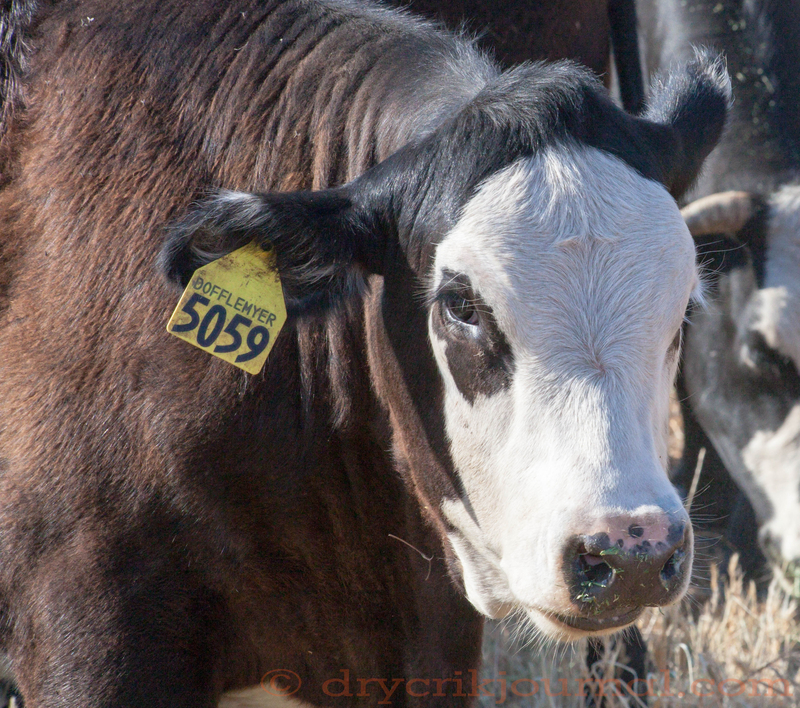 This entry was posted in Haiku 2015, Photographs, Ranch Journal and tagged cattle, cows, Replacement Heifers. Bookmark the permalink. Lovely girl, John! The best of the ‘breed. You will get great calves from her! Up the hill! Let’s hope so, you never know… “many a slip ‘twixt cup and lip”. A fitting name for this beauty. Growing up, us kids were allowed to take turns at naming them! None with such spectacular looks as Blackcap though. I do find it interesting that we humans are compelled to name places and things. She is a good looking lady with interesting markings. One too many syllables for my tastes. Then there’s always the possibility that her behavior garners another name altogether. Time will tell.